Construction cleaning is done by expert cleaners who will not damage your windows or other materials on the site. 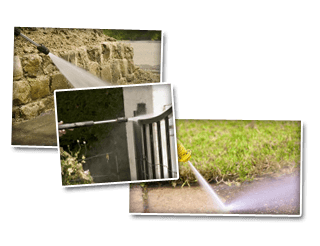 Call Cavalier Window Cleaning & Power Washing for post cleanups and feel at ease regarding the safety and cleanliness of your site. Construction window cleaning includes the removal and elimination of several types of construction debris that includes: glass surfaces, plaster, paint, stucco, taping mud and mortar. Removing the debris without scratching the glass is the real challenge and we’re ready to take it on. Due to the high amount of residue left on windows in most construction window cleaning situations, we do not use strip washers because the debris can easily get caught up in the machinery and damage the glass. Scratched windows are never a worry with Cavalier Window Cleaning & Power Washing. We utilize window brushes which safely protect the windows from damages. A window brush does not cling to the debris the same way that a shag or strip washer does. The selection and use of soaps for a window cleaning application are much often misunderstood. For many window cleaning projects, soap is never an issue. We only utilize soaps that will help in the process as opposed to working against us. We start off by filling our buckets with water. The more water that’s in the bucket, the better the windows will be cleaned. A squeegee or window brush is used in most cases as this thoroughly clean debris from glass. Whenever possible, we clean the inside windows before the exterior ones. This is due to the fact that inside windows require opening and closing which can result in streaks being left behind. Window tracks are also vacuumed during the process. If the outside of the construction is stucco, a Field Scale Removal tool is highly recommended. This assists in removing stucco and concrete from the glass and also the frames. The process is quite similar to interior window cleaning. If you’re ready to have the pros from Cavalier Window Cleaning & Power Washing provide your firm with construction cleaning, then call us. We’re always there to provide you with the best cleaning services possible. If you are looking for Complete Construction Cleaning Services then please call 434-823-1737 or 540-910-1434 or complete our online request form.